Join CGS member Mary Beth Frederick and learn how to use your digital camera to take photographs of books, original documents, microfilms, and computer screens. Using this method will save you time, money, energy, and frustration, not to mention your back by never again toting a mountain of paper in your carry-on baggage! The workshop is a FREE benefit of membership but is limited to fifteen people. Pre-registration is required - no walk-ins will be allowed. 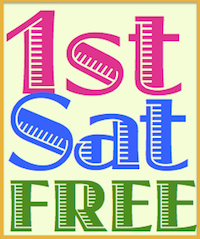 There is a non-refundable sign-up fee of $10 for non-members. (This fee can be applied toward membership on the day of the workshop.) There is a sign-up sheet at the CGS Library desk. Please call CGS at 510-663-1358 or email CGSLevents@gmail.com to reserve a space. Mary Beth Frederick has enjoyed careers in marketing research, systems analysis and design, project management and as an editor for both print catalogs and an online website. She inadvertently retired when her last employer went out of business. For over four and a half years, she has been engaged full time in researching her family tree and that of her husband as well as the times and places in which their ancestors lived. She has researched the records of many U.S. states; French Canada and the Louisiana Territory; France and Germany; Wales and the Channel Islands, and South Africa. When the volume of paper collected during the first two years of research threatened to outgrow her office, she started taking digital photos of source documents. Mary Beth attended the 2008 Salt Lake Institute to study family history writing with John Philip Colletta and Patricia Law Hatcher, has studied Old German handwriting with Ingeborg Carpenter, and holds memberships in First Families of St. Louis and La Société des Filles du roi et soldats du Carignan. She earned a BA in English Literature with Classics from The Loyola University of Chicago. She was born and raised in southeast Nebraska where she was related to nearly everyone in the county, which meant that finding a date (or a mate) presented a challenge. She solved this problem by meeting and marrying a South African. He does have a French surname, however, so she wouldn’t be surprised to find that they are related, too. Earlier this year, Mary Beth visited Australia where she has no known cousins. 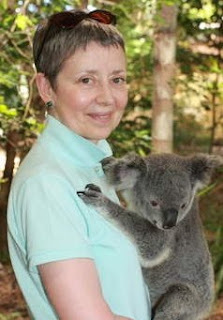 She is considering making the koala her totem animal since this furry creature also spends most of its time in trees.